We bring you a Europa League treble including previews, betting tips and enhanced odds. After yet another disappointment on their travels at the weekend, Arsenal return to the Emirates where they’ve been so much better and have won 13 of 15 matches since the start of December. They’ll know this is virtually a must-win fixture with their Italian counterparts strong on their own patch, but Napoli have plenty of reasons to be concerned ahead of this first leg after some poor displays of their own. Over their past two fixtures, Carlo Ancelotti’s outfit have lost away at 18th-placed Empoli and then drawn hosting another bottom-half team against Genoa last time out, despite their opponents playing for over an hour with 10 men, with the former result leaving them just W4-D3-L5 over their last 12 away days. They’ve fallen to defeat against the likes of Liverpool, Inter, Milan and Salzburg over this period, while the record of Italian sides in Europe’s second-tier competition will hardly give their fans any reasons for optimism. Indeed, there have only been three Italian semi-finalists in the past decade, while when travelling to English shores, they’ve gone W3-D5-L10 since 2001/02. Villarreal may have lost two and drawn one across their last three fixtures, though it’s worth noting that both defeats came on the road as their home encounter with Barcelona yielded an extraordinary 4-4 stalemate. However, a record of three victories from 11 home games is hardly phenomenal either, especially when considering these came against a poor-travelling Sevilla side, Zenit (Russian teams don’t tend to fare well when visiting Spain) and second-from-bottom Rayo Vallecano. 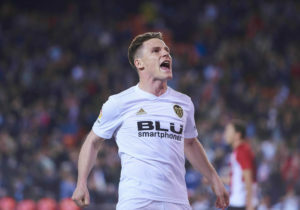 Valencia’s 17-game unbeaten streak came to a surprise end at lowly Rayo Vallecano at the weekend, though even including that game they’ve still won six of their last nine, which includes inflicting a first defeat on Real Madrid since Zinedine Zidane returned to the dugout, and so that one defeat is likely to prove a mere blip. Valencia won 3-0 when these two last met back in January, and given only four teams have picked up more points per game on their travels than Los Che this term domestically, we’d side with the visitors after showing much greater consistency throughout the campaign than their relegation-threatened hosts. Slavia Prague took advantage of a Sevilla side that were horrendously out of form between mid-January and mid-March in the last round, sneaking through with a 6-5 aggregate success in extra-time as they netted in the 119thminute during the second leg. Dramatic though that was, Chelsea are likely to offer stiffer resistance and indeed, the Blues have won nine of 10 unbeaten matches in the Europa League to reach this stage. They’ve plundered 19 goals across the last six of these, including eight in the previous round against Dynamo Kiev, while they even kept seven clean sheets despite Maurizio Sarri heavily rotating his line-ups. The Czech outfit aren’t a team to be taken lightly, but with Chelsea’s form recovering (they’ve won seven of their last nine matches in all competitions), they should put one foot into the semi-finals here.